It’s way early but as of now it’s Bush vs Clinton for president. Jeb is the leader the pack of Republican presidential candidates. Hillary remains heir apparent for the Democrats. W paints a confusing picture of the royal bloodline by calling, My sweet Dad, a wonderful father to Bill and me. 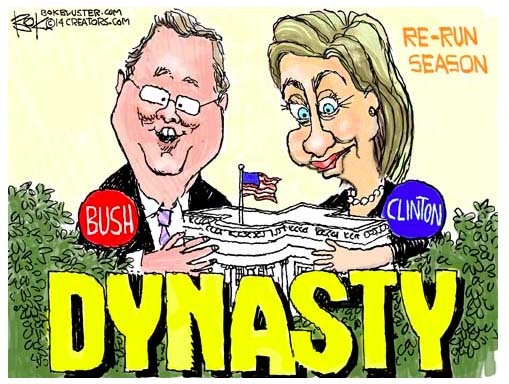 The Week says embrace the dynasty.